Any remaining balance must be cleared 4 weeks before the holiday. Damage bond will also required by way of held cheque. 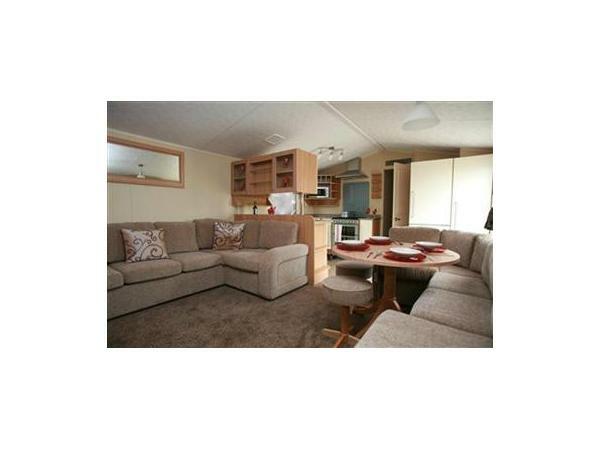 This is Wales premier holiday resort owned by Haven Holidays, in the nation's favourite holiday destination Tenby. Only the dates with a price are available. 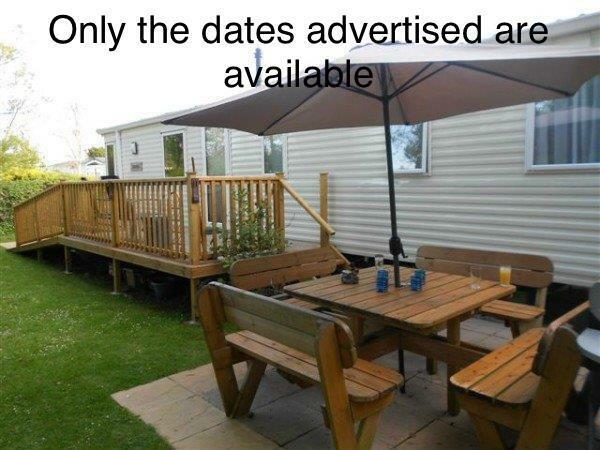 Our Holiday home is graded by Haven and advertised on their website as a Prestige with Decking. Book with us direct and save up to 50% compared to Haven prices. 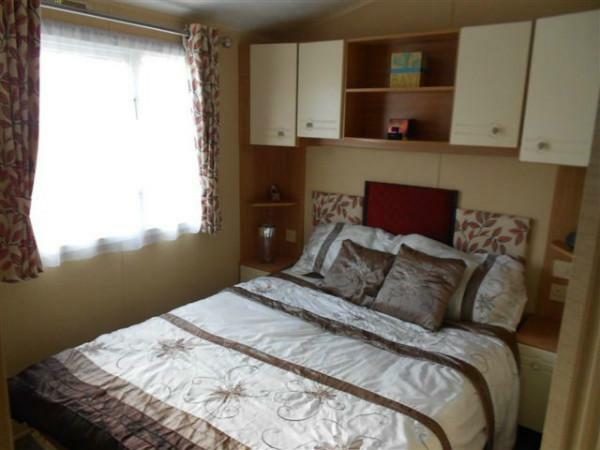 The holiday home is in a perfect position being the nearest in Kiln Park to Tenby Town, Tenby Harbour and the beautiful North Beach just a 10 minutes short walk. Central heating, double glazing in modern open plan style. 37" TV, DVD & Blue-Ray player, with a TV/DVD player in master bedroom. 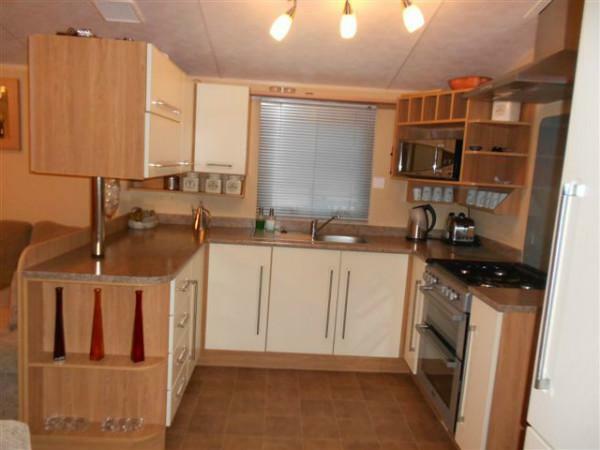 Large kitchen with three bedrooms, one double and two twin bedrooms each with wardrobes and storage. There is also a double sofa bed in the lounge. Shower and W/C and a further separate W/C. Wrap around decking with ramp for easy access. Outside table & chairs and patio / BBQ area in a very private well lit garden with 3 person hammock & companion seat under a willow tree. Duvets and pillows with covers supplied with all beds made ready for your arrival. Don't forget your own towels, tea towels etc. Travel Cot & Highchair supplied if requested free of charge. We also provide buckets & spades, body surf boards, crab lines, fishing rods, tennis bats, crazy golf putters, for a fantastic holiday. leisure passes are not included, so that you can access some of the park facilities you need them but are available direct from Kiln Park. We will send you the pass application form (prices are between £26.10 (Low season) and £36.60 (Peak season) per adult per week. Children aged 4 and over pay approximately half price. There is a capped amount. If you don't require passes and access to the park complex Tenby Leisure Centre is just opposite the entrance to the park and has a Swimming pool, Fitness Suite, Sports halls, Dance Studio & Café etc at a much cheaper cost. Heatherton World of Activities is just around the corner with Go Kart Racing, Shooting, Archery, Zip Lines, Crazy Golf etc where much better facilities can be found. Manor Wildlife Park & the Dinosaur Park are also nearby. Holidays are Saturday to Saturday with check in after 2:30pm and check out is strictly 10:30am. We need to get the van ready for next holiday makers so apologies in advance. 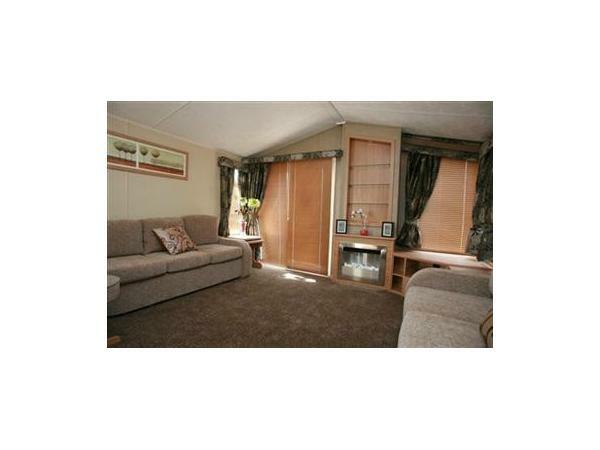 We will send you full written details and agreement once we receive your deposit. In summer school holidays a bus from the car park, 100 meters away takes you directly into Tenby town. The train Station is within easy walking distance as is Tenby town with great pubs, cafes & restaurants where there are 73 places listed on Tripadviser to choose from. Nightlife in Summer time is awesome with clubs like the Prince of Wales & Saundesfoot Sands open till 4am. No pets in this holiday home & families only. Non smoking. Folly Farm - A great family day out especially for young kids. Heatherton - Go Karts, Shooting, Archery, Crazy golf, driving range etc. TreeTops - Zip Slide, Climbing walls & Leap of Faith. High altitude terror. Manor Park - Wildlife Park & Zoo. Dinosaur Park - With ride on tanks & Sedgeways. Oakwood Theme Park - Checkout rides like Speed & Megaphobia. Carew Car Boot & Market – One of the biggest in Wales every Sunday. Tenby late night Ghost Hunt & Walk. Caldey Island boat trips - Visit a working Monastery and meet the Monks. Tenby 18 hole golf course situated between Kiln Park and the beach. Watersports available on Tenby North Beach – Jet ski, Kayaks, Banana Boats. Tenby Harbour Festival - Fireworks, Live music, in summer holidays.